Mega Heroes all set for a Massive Clash | Varuntej News Mega Heroes all set for a Massive Clash: Varuntej's Fidaa and Sai Dharamtej's Nakshatram are all set for a massive clash on July 21st all over. Mega family witnessed the arrival of many young actors who proved their skills. Varuntej had an impressive debut however all his recent outings ended up as debacles leaving the actor in huge confusion. The actor wrapped up Fidaa which has been announced for July 21st release. Directed by Sekhar Kammula, this romantic entertainer features Sai Pallavi in the female lead. Dil Raju is producing the movie which is occupied with the post-production formalities. Sai Dharamtej made huge noise with Subramanyam for Sale and Suprema however the actor too disappointed the audience with Thikka and Winner. He pinned many hopes on Nakshatram and Jawan which will release soon. Krishna Vamsi directed Nakshatram which has been delayed by months. Sundeep Kishan, Regina, Sai Dharamtej and Pragya Jaiswal are the lead actors in the film. 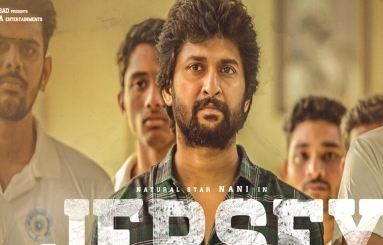 The audio of the film will be out today and the makers are in plans to release the film on July 21st. Varuntej and Sai Dharamtej who have been struggling for success are all set to clash with each other on July 21st. Let's wait to see who takes the lead in the battle.